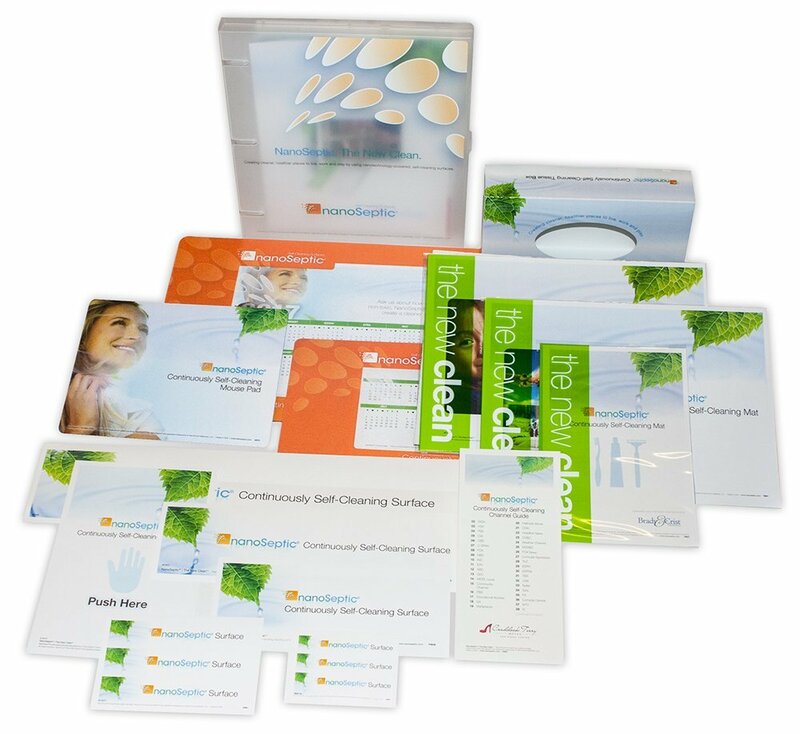 Sample kit with the following self-cleaning products in addition to our full information binder. This kit contains the following products. This kit can only be ordered online for shipment within the continental United States. If you are outside of the US, please email us at info@nanoseptic.com.